“With 3 out of 4 startups failing – yes, you read that right – ensuring your startup delivers on its expectations is not easy.” Which is why it’s important that you read 5 bottlenecks that discourage startup growth and how to fix them if you have founded a startup. Measures of Success: SaaS Metrics & Benchmarks Resource Guide provides an overview of the most critical SaaS metrics, along with tips and insights. 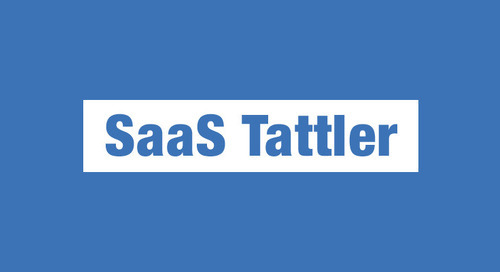 “For software-as-a-service (SaaS) companies, successfully achieving rapid growth and/or sustainable profitability is anything but simple.” Which is why you need this resource guide! Most people recognize the value of a great customer experience because we’ve all likely experienced it. “But as executives leading businesses, the value of delivering such an experience is often a lot less clear, because it can be hard to quantify.” So Peter Kriss quantifies it in The Value of Customer Experience, Quantified. In 500 Startups Post-Demo Day Wrap Up, CrunchBase talks to Sean Percival about some of the lessons the accelerator has learned over the years. The Product Hunt Factor – how it helps in launching products and why it will continue to gain momentum – documents a successful launch on Product Hunt and more. And did you know that BetaList wrote about Pinterest before it launched? Spokepoint – Craft your story. Find journalists. Get press. “Something flips in your relationship with your users when they know the product is all about helping them.” Using Massdrop as an example, founder and CEO Steve El-Hage shares insights on How to Engage Your Users to Build the Product They Actually Want. Join us at the next Customer Success Meetup event to learn about Venk Chandran’s career in customer success. From his early days at Toronto start-up Rypple to his senior role at Salesforce, Venk has developed keen insights into the strategic value of Customer Success. RSVP today! Not a member? We have plenty of room, so sign up and tell your friends.